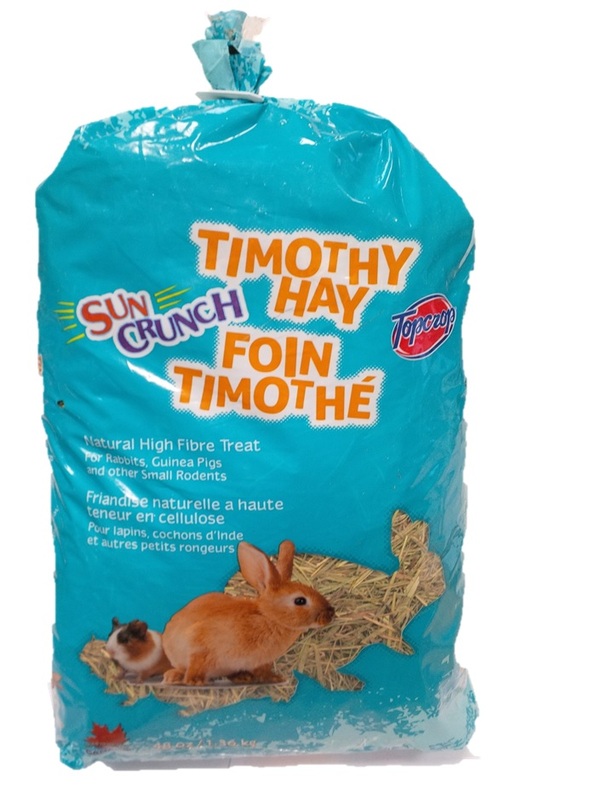 Rabbits, guinea pigs, and other small rodents will love the taste of Suncrunch Natural Timothy Hay. Timothy adds longer natural fibres to the diet, aiding in digestion, may help preventing obesity and may help reduce the incidence of urinary tract issues. Your mouse, your hamster or other rodents will love Suncrunch Natural Timothy Hay! Natural sun dried timothy hay.